One of the few species of Ericaceae not characteristic of acid habitats. Often forms large mats on sand dunes as well as jack pine and oak plains and on limestone pavements and gravel ridges (or other rock in the western Upper Peninsula). 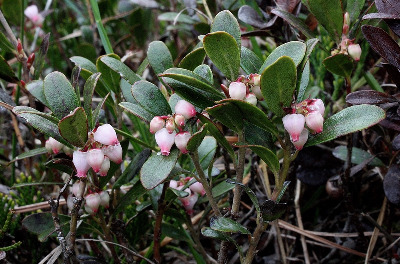 The generic name and specific epithet both mean “bearberry,” in Greek and Latin, respectively. Whether the species forms any part of the diet of bears is, however, doubtful. The leaf blades are mostly 1–2.5 cm long, often slightly obovate. MICHIGAN FLORA ONLINE. A. A. Reznicek, E. G. Voss, & B. S. Walters. February 2011. University of Michigan. Web. 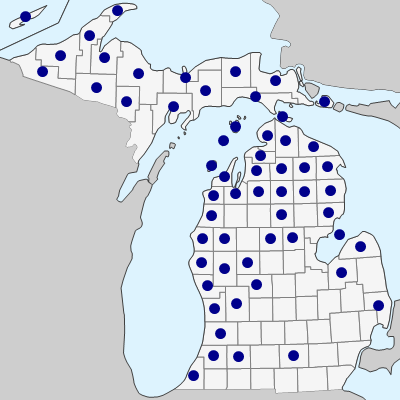 April 21, 2019. https://michiganflora.net/species.aspx?id=1208.